HE HAS amassed 1.3 billion views on YouTube for his hit single 'Let Her Go', won the Independent Music Award in 2013 and an Ivor Novello Award in 2014, and enjoyed a No 1 album with 2016's Young as the Morning Old as the Sea. This year he plays Galway. 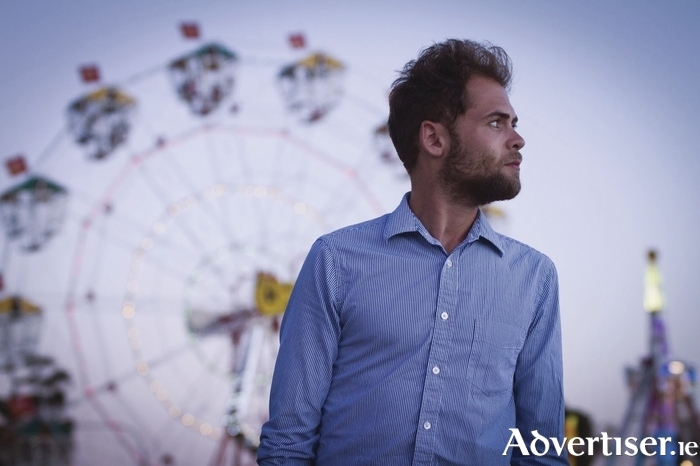 Passenger - aka Mike Rosenberg - will play the Galway International Arts Festival Absolut Big Top on Saturday July 22, where he will be joined by a live band, to perform songs from across his career. The English singer songwriter initially formed Passenger as a duo with Andrew Phillips in 2003, releasing the album Wide Eyed Blind Love in 2007. After this incarnation split, Rosenberg kept the Passenger name, and moving to Australia, built a strong fanbase there, and recorded the 2010 album Flight Of The Crow, before moving back to Britain. In 2012 he released All The Little Lights, and toured in support of Jools Holland and Ed Sheeran. The following year saw the Englishman make his breakthrough with 'Let Her Go' becoming a major international hit and resulting in a slew of awards for the artist. The Whispers and Whispers II albums followed, while last year, Young as the Morning, Old as the Sea became Passenger's first No 1 album. Support is from Irish folk-pop duo Hudson Taylor. Formed in 2011 by brothers Harry and Alfie Hudson-Taylor, their debut album, Singing For Strangers, was released in 2015, peaking at No 3 in Ireland and No 24 in Britain, and included the single 'Chasing Rubies' (the single for which was shot in Galway ). The pair spent much of 2016 on tour in Ireland, Britain, and Europe, and are currently writing and recording songs for their new album. The concert is a 'Galway International Arts Festival and Róisín Dubh presents...' event. Tickets are €35 and go on sale on Friday March 3 via giaf.ie and roisindubh.net Other concerts announced so far for the Big Top are singer-songwriter Gavin James (July 20 ) and The Beach Boys’ Brian Wilson, performing the classic 1966 album Pet Sounds (July 23 ).